IN SEVEN DAYS, THE PIONEER TAKES YOU FROM UNSPOILED COASTAL TRACKS TO DENSE WOODLANDS, GREAT MOUNTAINS AND THE VAST PLAINS AND WILDLIFE IN THE HEART OF THE KAROO. We’ll be back with a fiery urban element that takes the race to the spectators. Soak up the spray from the Indian Ocean with a spin on the beach, before heading up, up through lush coastal pine forest towards the foot of the Outeniqua, your first big-mountain experience. 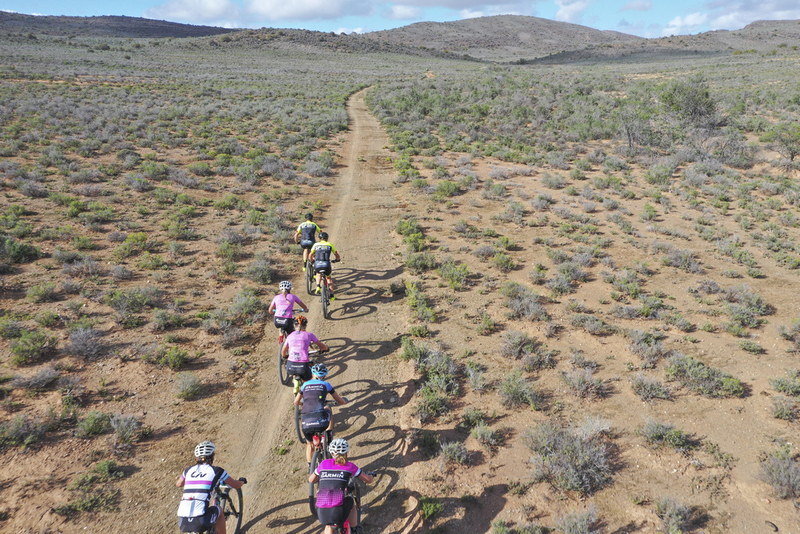 Soaring passes and white knuckle descents deliver you into the shimmering depths of the Klein Karoo desert. Watch the mercury rise as the racing cranks up a gear, the race heading North, offering fame and fortune for those who dares to take her on. Feel the tingle of excitement, love the burn, embrace the adventure! “Challenge. Community. Race. Experience. Pain. Party. The Cape Pioneer Trek is all those rolled into one. of the memories, when you know, yes, I did it! Nothing can beat this kind of experience. 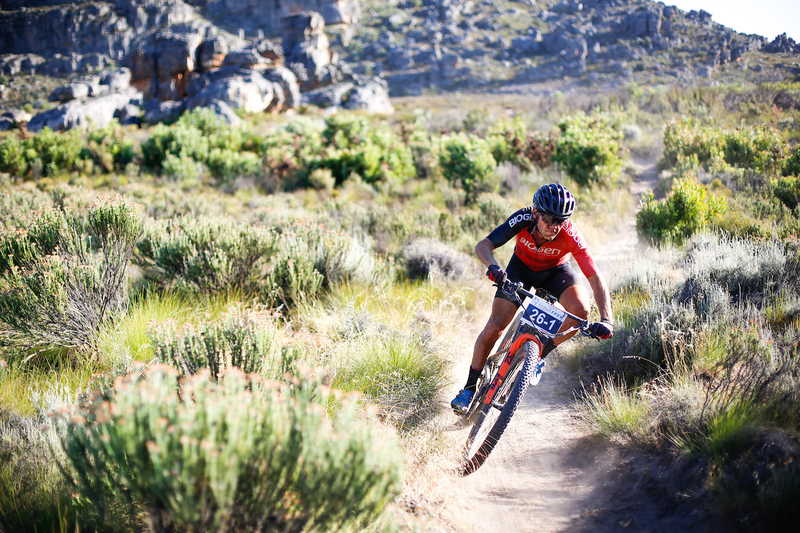 From the arid desertscapes of the Groot Karoo to the great mountains of the Klein Karoo and the aboriginal forests of the Garden Route, the Cape Pioneer has it all, a truly African mountain biking experience. 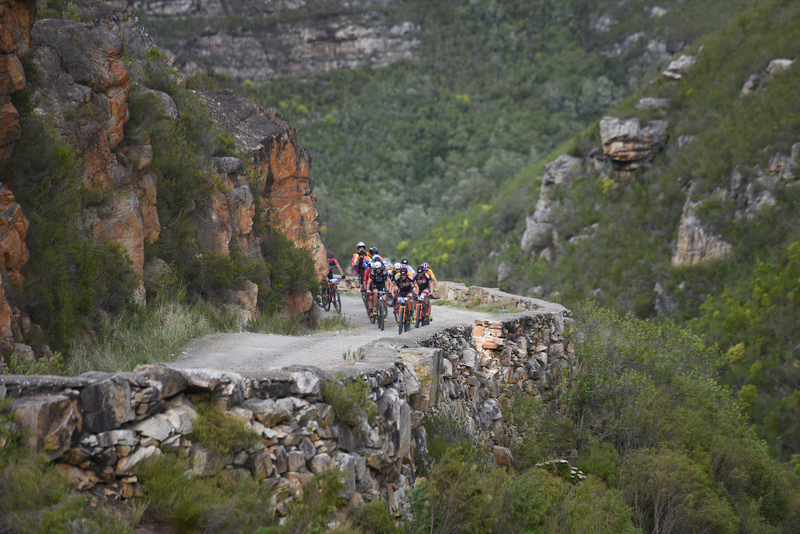 The magic lies in the unique combination of exciting, diverse trails, passionate people and authentic human connection, brought to you by world class event organisers. The result is a race that has achieved near legendary status. BACK ON THE SOIL, LEAVES YOU SMILING. WORLD CLASS ORGANISATION, GREAT TRAILS AND GREAT FRIENDS. THE CAPE PIONEER TREK WILL RETURN YOU TO THE SOUL OF THE SPORT AND LEAVE YOU WITH A LIFETIME OF MEMORIES. Briliant routes every day and the spirit in the village is just great.All riders feel at home and every need is attended to. Having not cleared out my tent on the last day and returning to the school to find all tents packed up I stressed about my phone,wallet and car keys that was lying loose in my tent.As I stopped a Dryland worker asked me if I left my things in my tent ,they had packed up all my things neatly into my bag and kept it safe,now that real personnel attention. 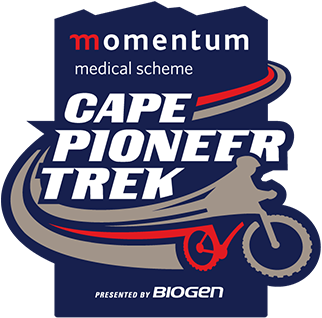 I would like to thank Dryland for a wonderful week.The smile foundation for giving me the chance to collect some more funds.To mountainbikers out there you must put the Momentum Health Cape Pioneer presented by Biogen on your bucket list. Ps. I think I gained weight because all we do is ride and eat and the foods wonderful.